Please contact us, all available horses/ponies may not be posted. He has competed in the Modified Adult Amateur 2’9” divisions on the Trillium Circuit. He qualified for Trillium Championships in 2014 (placing 3rd over fences) and 2016 (placing 5th and 8th over fences). Finnigan also has experience with smaller hunter derbies/Classics and medal/Equitation classes. 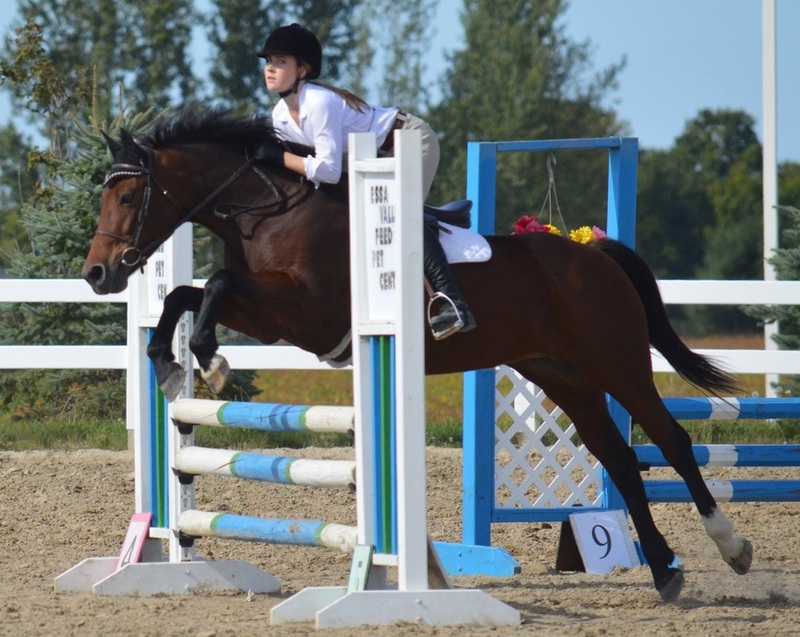 Recently he placed 10th out of 30+ entries at the 2’6” Hunter Classic at Palgrave in June 2017. He was lightly shown in 2017 but was in the ribbons at each show. Finnigan enjoys the sport of hacking either alone or with a group and is great to work around. Shown lead line and cross rail divisions on the Central East Trillium Division. Always in the ribbons. Very quiet, gentle and friendly. Competed in the 0.75 jumpers at the schooling level. Shown successfully at the Trillium level on the Central East division. Placed in all his classes at the 2016 Trillium Championships. Her first year out, this mare qualified for Championships, placing 4th in her zone, and 8th overall in the Low Hunters. Champion in the GB Hunter Classic. Ideal partner for an ambitious amateur or junior rider looking for a quality horse with opportunity to show. Owner has limited time and part board terms/agreement may be tailored to suit your needs.